Note, Crosswalk is no longer being maintained by Intel. Please see https://crosswalk-project.org/blog/crosswalk-final-release.html. On Android, there are a range of OS versions that users are on. For details see Platform Versions. 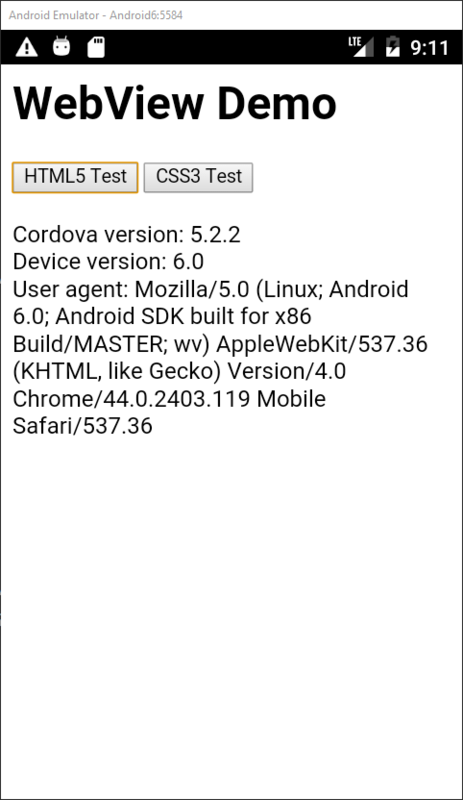 Crosswalk can be helpful even if you are only deploying to Android 5.x devices and higher as the WebView used to render your application is included with your application. The following article mentions some reported problems for apps that used the system WebView after it was updated. 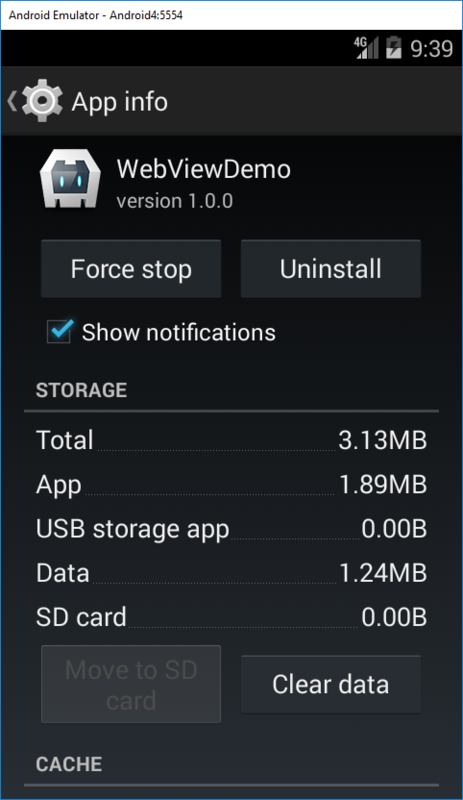 The version of the Android System WebView can be seen under Settings > Apps > Menu > Show System > Android System WebView. 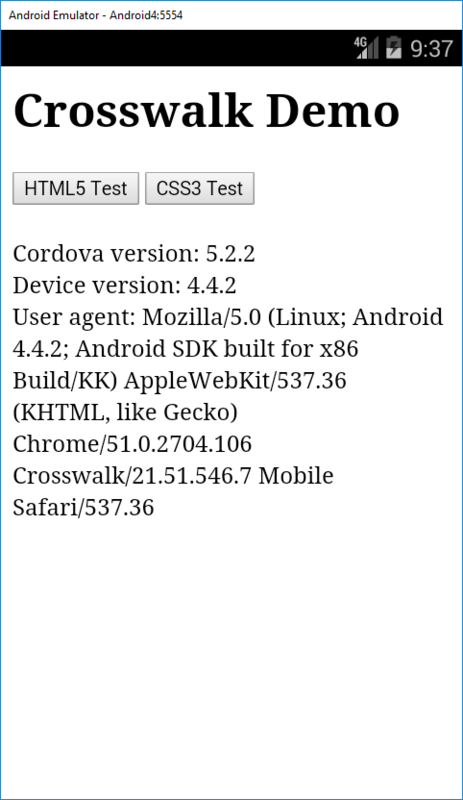 Crosswalk with cordova-plugin-crosswalk-webview provides a replacement for the Android WebView that is consistent across Android devices. One other benefit is that an app running on an older Android device can be debugged. With the standard WebView, only devices running Android 4.4 or higher can be debugged. The following sample attempts to illustrate the benefits of using Crosswalk. 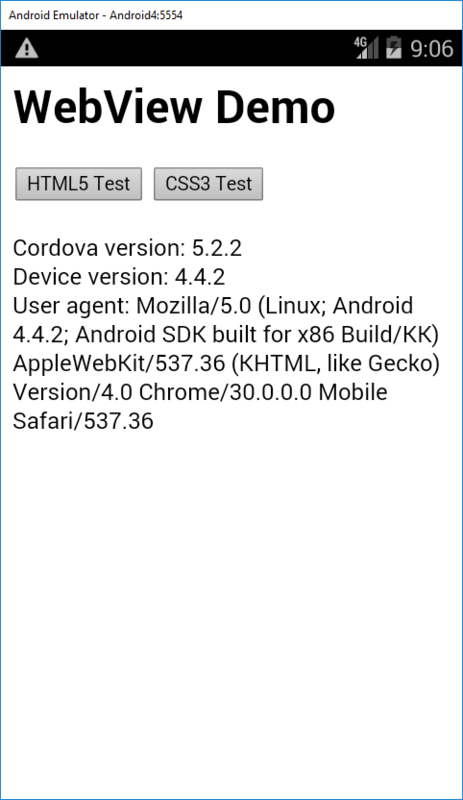 The following steps will create a project using the standard Android WebView and will demonstrate the result of it against a few test websites. 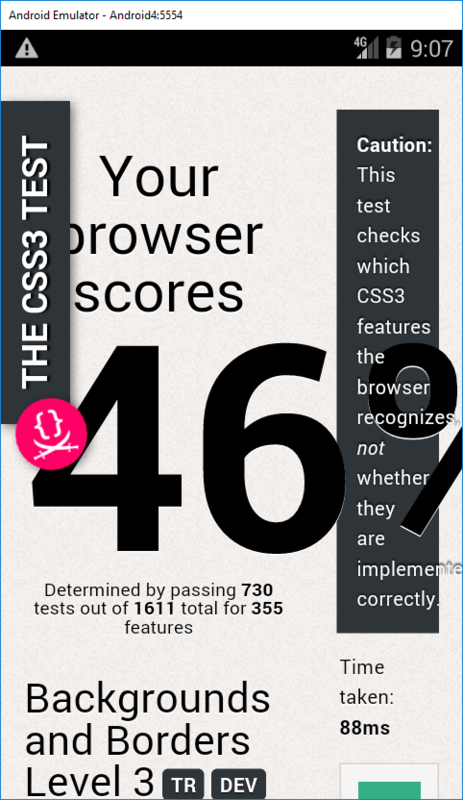 A second project will be created using Crosswalk instead of the Android WebView. Replace www\index.html with the contents below. Specify that the WebView can be navigated to additional URLs by adding the following to the config.xml file. 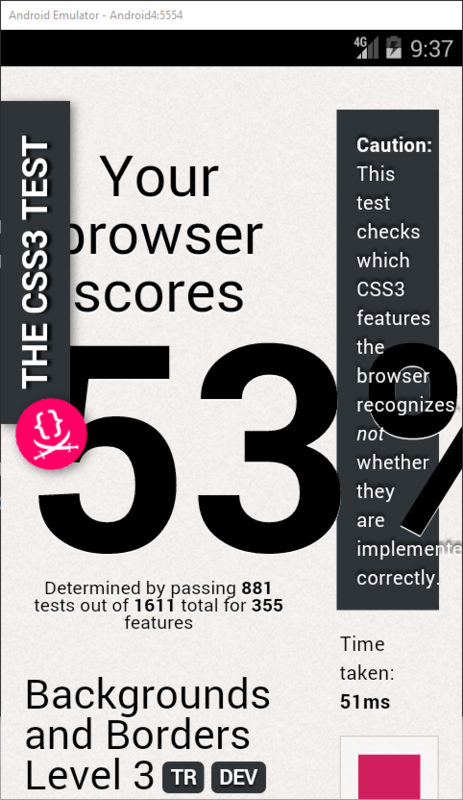 See also Navigation Whitelist. Run the project on some different versions of Android. 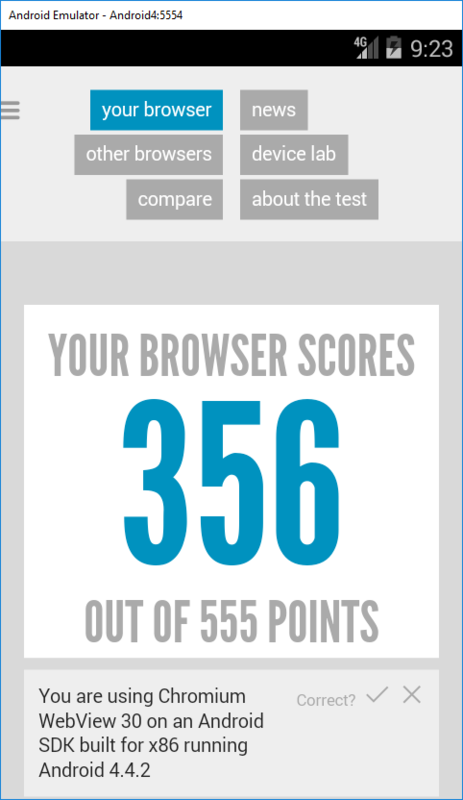 Here is the same app running on an Android 6.0.0 emulator. Notice it has a much different score than the Android 4.4 emulator. Add the android platform and the crosswalk and device plugins. Replace www\index.html with the contents from the previous project. 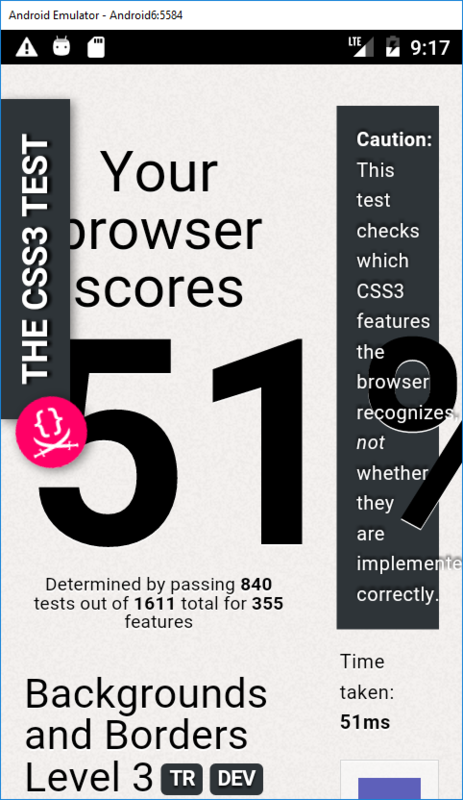 Modify the title of the page to be Crosswalk Demo instead of WebView Demo. Note the size of the app has is larger with Crosswalk. If this is not checked, the following fatal error prevents the application from starting. I have seen people still don’t know about it and confused about its update. 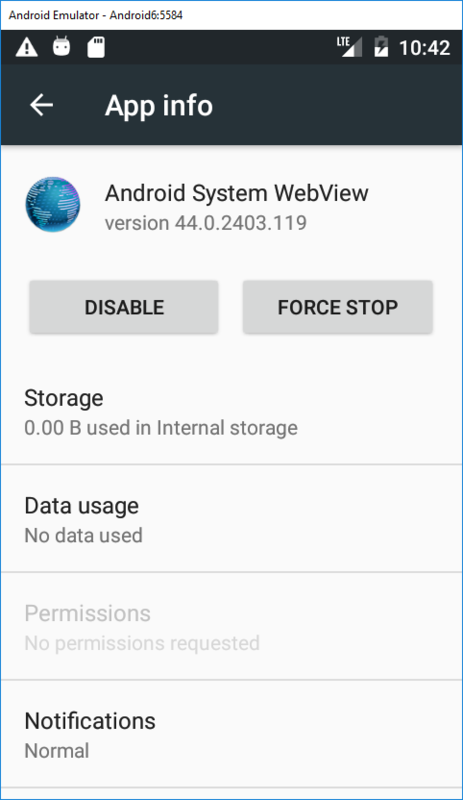 If you are also looking for What is Android System WebView and its use, I have found this wonderful article.